INDIA. Mumbai. 2006. 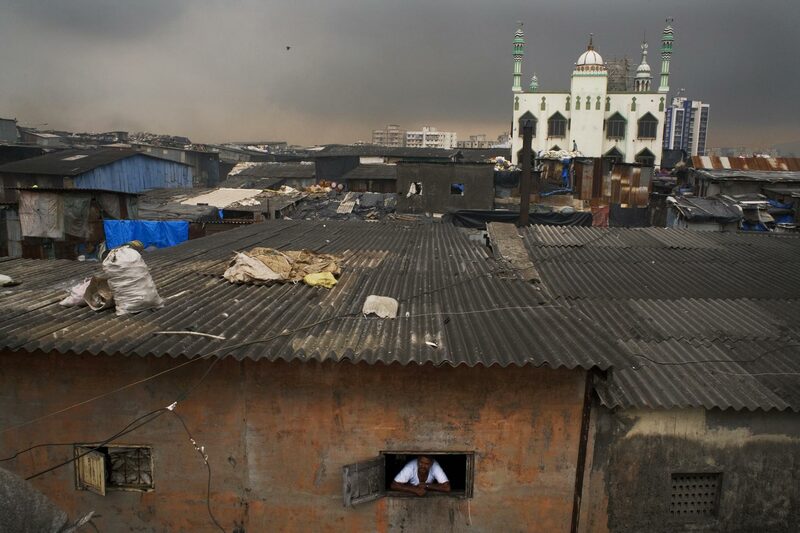 A man peeks out of his 'godown' (big warehouse in Dharavi), with Dharavi's biggest mosque in the background), the Moinia Masjid. About forty percent of the slums' population are muslim, the rest primarily Hindus.